Here in Bethesda they have what seems like a yearly tradition. 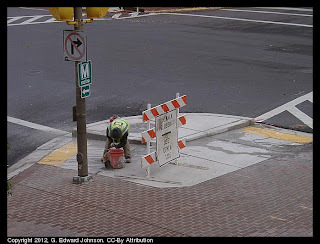 Go to every intersection and dig up the curb cuts for the crosswalks and replace them. It seems like they just got done with it earlier this year (though looking back at some pictures I think it may have been last year) and they have started it again. 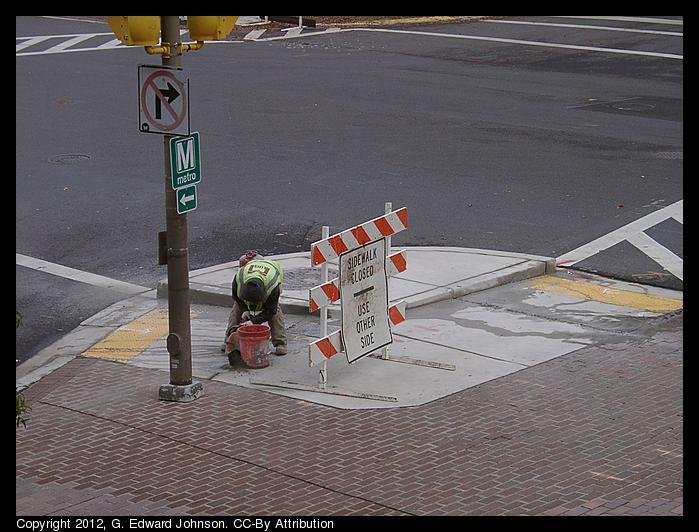 Today they were out jack-hammering the brand new, handicap accessible crosswalk entrances. Unbelievable, what could possibly be wrong with them, and why are they spending so much tax money doing this? 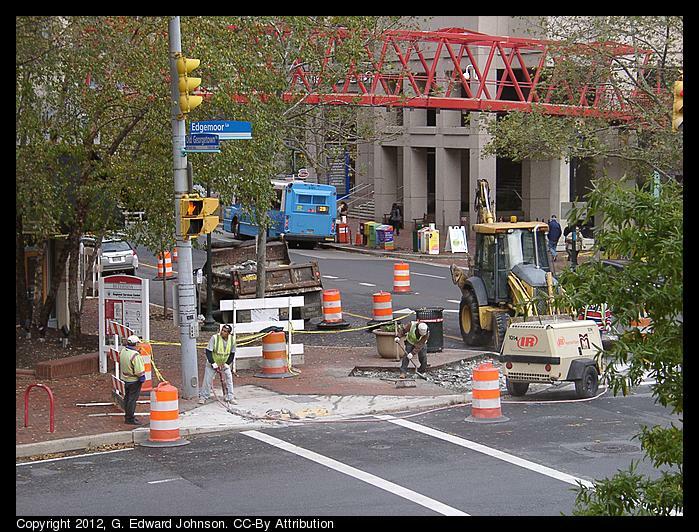 In the top photo, you can see they have finished digging up the one on the right, and have started jack-hammering the one on the left. In the bottom photo they are using a concrete saw in preparation for the inevitable destruction. 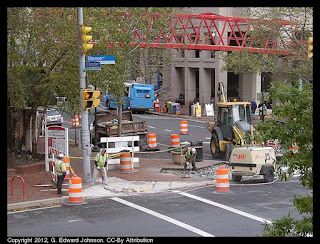 This intersection is Old Georgetown Road and Edgemore Lane, right in the heart of Bethesda, MD. I saw they had white arrows painted on the concrete to show where to dig, walking around at lunch I saw other intersections with white arrows so they are doing this to a bunch of them.